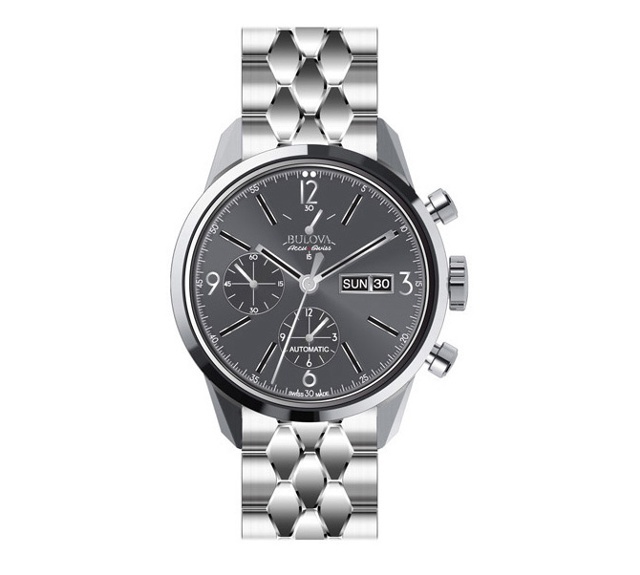 Bulova introduced today an entirely new line; the Bulova Accu Swiss. The new timepieces are a reinterpretation of the brand’s 1960s models and integrate new materials like textured leather straps. stainless steel cases and hand-set diamonds. The line includes five new collections in both men’s and women’s models. The Murren Collection includes Bulova’s signature marquis bracelet and features a vintage aesthetic. The sport-watch is also accounted for in the Tellaro collection. This includes brushed and polished finishes and GMT functionality. The Telc Collection was inspired, specifically, by the 1960s and 1970s and echoes Bulova’s tuning fork logo. Taking a modern view, the Bellecombe collection contains hand-set diamonds and includes a 31mm case. The Percheron Collection includes two models with titanium logo dials to celebrate the brand’s relationship with Manchester United as the Official Timekeeper. Lastly, the limited edition Type A-15 os a modern reinterpretation of Bulova’s famed timepiece commissioned by the US Army Air Force during World War II. In keeping with our ongoing dedication to technological superiority and cutting edge style, the new Bulova Accu•Swiss collections feature the finest Swiss automatic, mechanical and quartz movements, Gregory Thumm, Bulova Corporation President said . Each timepiece in the line offers a refined and classic design and reflects the exceptional craftsmanship of a true Swiss-made brand. 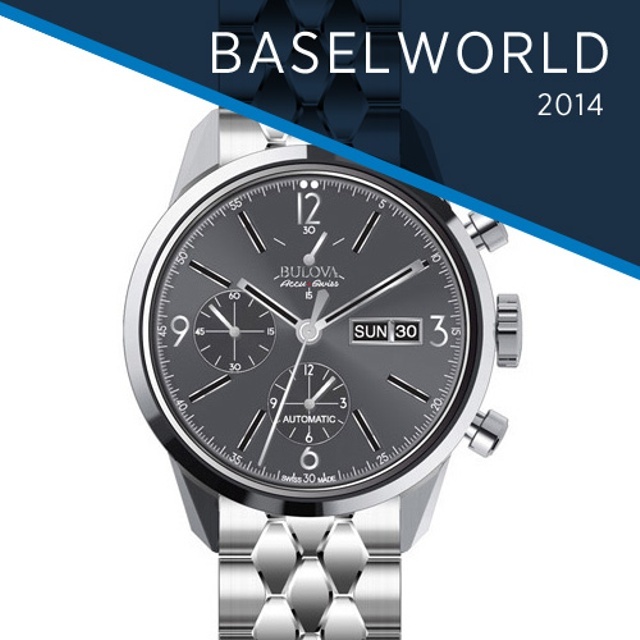 Stay tuned for a closer look inside the five collections this week as BaselWorld 2014 progresses.